Interested in 3d printing but have no idea how to create your own 3d models? Here is your course! Learn the basics of Fusion 360 for 3d modeling to be used with the 3d printers at MAKE. Get an understanding of the standard controls, creating basic shapes, adjusting your views, using splines to make your own shape and so much more. 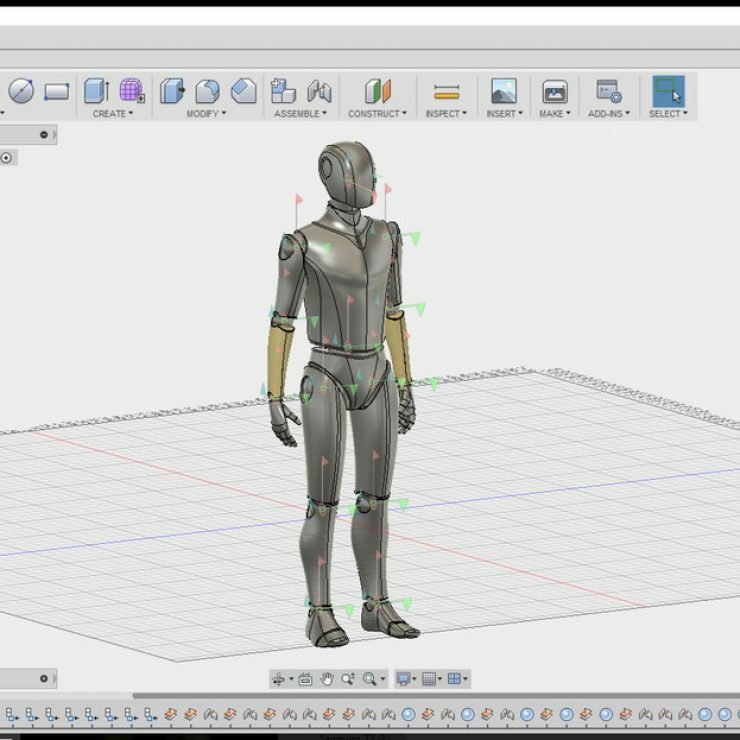 You’ll also get an understanding of the sculpt environment to create and edit forms with information on 3d printer specific software. There are no pre-requisites for this class and no experience is necessary. MAKE provides computers with Fusion 360 already installed. If you would like to bring a laptop to use you are welcome to do so but please have the current version of Fusion 360 downloaded and installed prior to the workshop. Edna Riley is a 3D printing-based practitioner, who is well versed in both the rendering and production of small batch printing. Edna has developed her skills as a self-taught Fusion 360 operator, and approaches the software with the type of tenacity and rigor that she teaches. Want a discount? Become a member by purchasing All Access Maker Membership or Student/Educator Membership! © 2019 Copyright Make Santa Fe.